HomeOn Book CollectingFor the Serious Collector: What makes a book valuable? If you are new to book collecting, you may be wondering what factors go into determining the value of a book. Successful collectors consider a number of things when contemplating a purchase that will enhance the value of their library of collectibles. One of the first things to note is the scarcity of the book in question. If the book is a limited/numbered edition, signed or not, this will give you an idea right away. 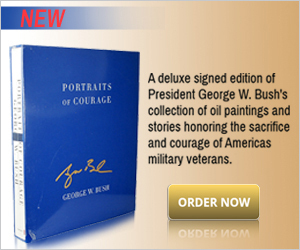 Most commonly, signed numbered editions will be 1 of 1,200 copies that were signed by the author. Less commonly, that number might go as high as 1,500. And instances of more rare limited editions, the total number signed by the author will be as low as 900 copies. Another thing to keep in mind, regardless of the scarcity of the book, is how desirable is it? While you may come across a book that is extremely rare, if it is a book of little interest or desirability, the book will have little resale value to you in the collectors market. This is not to dissuade you from purchasing a rare albeit non-coveted book, for the simple pleasure of having it in your library. Just know that in such cases, the book will not add anything substantial to its value. The next thing to gauge is the condition of the book, whether signed or simply a limited first or collector’s edition. Some things to look for: Is the binding tight? Are the pages clean, unmarked and unbent? Are there dents, scratches, spots or fading to the book’s cover? Are there personalized book plates or other markings from the previous owner? If the book was issued with a dust jacket, what condition is that in? And how do you know what to look for when identifying the condition of a dust jacket, or even its authenticity, for that matter? The first thing to look for is to see if the jacket has been “clipped.” This means the original price has been clipped off from the front fold of the jacket. A clipped jacket can reduce the value of a book by 60% or more. Another thing to look for (and do not be afraid to point blank ask about) are the signs of a reproduction dust jacket. With the help of a simple magnifying glass or pocket microscope, digital or inkjet printed facsimiles are relatively easy to spot by the dead giveaway of the dot patterns. Other signs of a reproduction jacket to look for are any signs of wear that are inconsistent with the actual texture of the paper. These would include things like creases, tears or abrasions that appear visually but not to the touch, as well as the paper quality itself. If you’re presented with a dust jacket that is supposed to be 20 or 30 years old, regardless of how well-maintained, if the paper has the look, feel or smell of brand new, you might being dealing with a fake. Whether the book in question is a signed first or unsigned limited edition, there are identifying markers to look for. For example, with Stephen King first editions, this will include the words “First Edition” printed on the copyright page, a code such as “S52” or “T39” on a designated page of the book, and sometimes, the code “1 2 3 4 5 6 7 8 9” on the copyright page. Before considering a purchase, it pays to do a little research to know what you should be looking for with a specific title and edition. There is a differing of opinions amongst serious collectors over which is more valuable — a book bearing the author’s signature alone or one also bearing a personalized inscription. 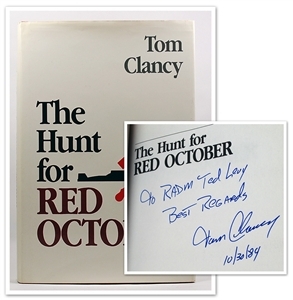 Where the book’s authenticity comes into question, the addition of an inscription gives an expert more to work with in authenticating the author’s handwriting. However, if the book is properly accompanied by a certificate of authenticity from the publisher, this should not be an issue. In such cases, the book that is flat signed with no additional inscription is of greater value, unless of course the inscription happens to be from the author to a famous person. Such acquisitions are even more rare. This brings us to provenance. In short, who owned the book prior to you? As we’ve already discussed, book plates and other markings of previous ownership will generally decrease the value of your book, while a good provenance can increase the value of your book, if its previous owner was a celebrity or esteemed historical figure. Finally, there is the term “Incunabula,” which refers to any book, pamphlet, or other form of literature that was printed (versus handwritten) during the fifteenth century (e.g. prior to the year 1501) in Europe. Incunabula, in any condition, including partial books or even a single page from a book, may be extremely valuable. For example, a single page from the Gutenberg Bible may be valued at upwards of $25,000.